The Transit Development Plan Resource Center has been designed to serve as a centralized location to provide easy access to a variety of tools and information to assist in the preparation of Ten Year Transit Development Plans (TDPs). We hope you find the Resource Center useful, and encourage you to utilize the FTPN listserv to communicate with your colleagues regarding questions or ideas you may have for TDP preparation. TDP Handbook 2018 – This updated document describes techniques and suggestions for preparing the various elements of a TDP as well as guidance for FDOT in reviewing TDPs. Current TDP Rule – The current rule-making requirements to receive FDOT public transit grant funds. TDP Due Date Schedule 2018 – Due date for every Florida transit agency’s TDP major update. TDP Training Session Slides – These are the slides for the last presented session of the TDP training series. Adopted Major TDP Updates – Adopted major updates from across the State are posted to serve as examples of how others have addressed the various elements of a TDP within the context of the unique characteristics of their respective communities and local preferences and priorities. These may also help to support regional coordination and planning initiatives. Other resources for TDP development include the U.S. Census Bureau for demographic information, the National Transit Database (NTD), the Florida Transit Information System (FTIS) for transit performance data, and the TBEST Website for transit demand modeling tool information. The Transit Development Plan is required by FDOT (Sections 339.135, and 339.155, Florida Statutes) as a prerequisite to the receipt of State Block Grant funds. It can also be a very valuable management in that it affords an opportunity for public transportation providers to evaluate existing services and plan for the future in a more comprehensive and strategic manner. Through demographic and socio-economic analysis coupled with heavy emphasis on public involvement during its development, the TDP will reveal how well the agency is meeting the social, educational, and economic needs of its service area population (youth, senior, commuter, disabled, disadvantaged, etc.). During the development of the TDP, emerging needs related to growth management, regional mobility, and energy and the environment, for example, may also be identified, These should also be incorporated in the TDP and guide the agency’s strategic initiatives and plans. Ultimately, the TDP will reflect a well planned and coordinated mobility roadmap for the future. 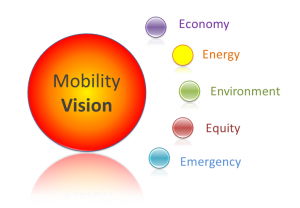 A concise “business plan”, which documents the agency’s needs and priorities, will help the agency be opportunistic and help to establish support and cooperation from stakeholders who have the overall mobility vision of the community in mind. The TDSP is a completely different document from the TDP, although they are often confused. The TDSP is developed by the Community Transportation Coordinator (CTC) and the planning agency under the guidance and approval of the local coordinating board (LCB). It is a statutory requirement of Chapter 427 of State Statutes. The plan is an annually updated tactical plan with components of development, service and quality assurance. Through the local LCB’s involvement in the review and approval of the TDSP the LCB is able to guide and support the CTC in implementing coordination efforts or locally developed service standards that are consistent with the needs and resources of the community. It is submitted to the Commission for Transportation Disadvantaged (CTD) for final action. The following two documents describe the CTD, the CTC and TDSP and explain their purpose for transportation planning.